Corrosion can be a big problem for aircraft in Thailand due to the humid climate and the salty air near the sea. WD-40 will coat the metal with a oily film, but it does not stop the corrosion. ACF-50 is simply sprayed into your wing through inspection panels. The fog then penetrates the wing and fuselage and seeps into all fittings and joints. You can see it is working, because the next day, you will notice little wet areas around any lose rivets on the top of your wing. This chemical penetrates moisture and removes the moisture from where it is contacting the metal. 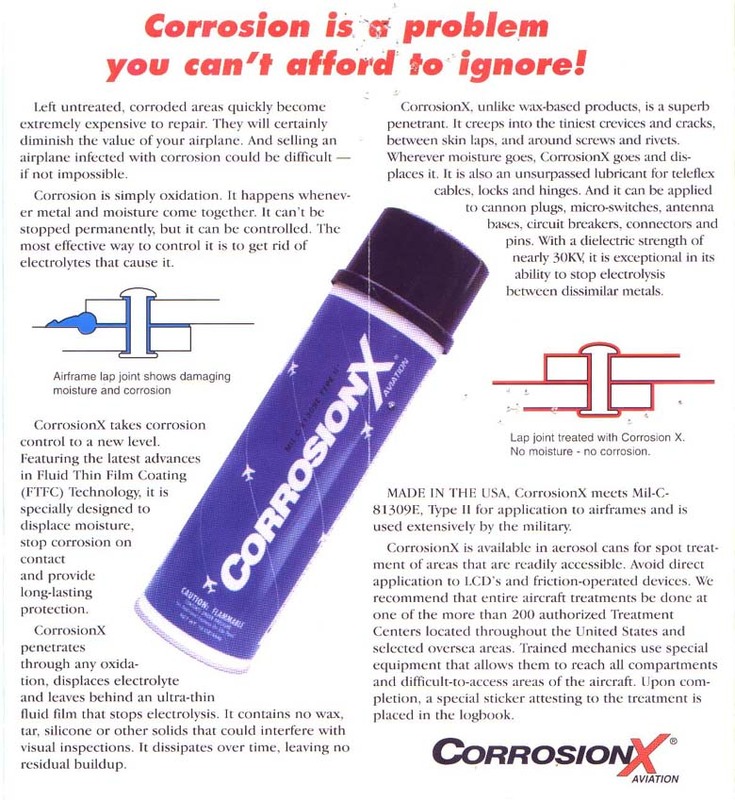 It is a very cheap and effective way to prevent and stop corrosion. 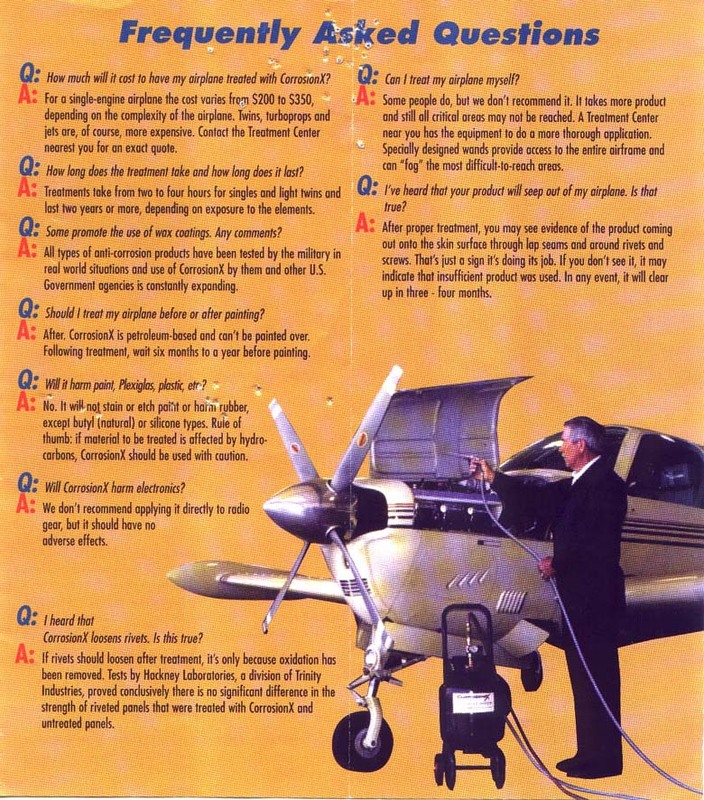 "I have used it for over 20 years in many tropical and ocean climates, and it has stopped and prevented any corrosion I have found on my plane. It is one of the most important 'tools' that I carry with me." (Tom Claytor). If you would like to learn more about this product in Thailand or to order a can of ACF-50, then please email below. The Thai Flying Club now has ACF-50 in stock. Order a spray bottle of ACF-50. - One treatment protects for 24 months! - will save you money!